Big screen adaptation of the cult online video game. Watching someone play the game itself would probably constitute a far more rewarding experience than having to endure the movie, and at least you could ask the gamer to explain what exactly it is you're watching; this isn't entertainment, it's homework. When you think of the cult online video game World of Warcraft the image that springs to mind is of a player locked away in a basement, sporting a week's worth of uncultivated neckbeard, their room littered with empty Cheetos bags and Mountain Dew bottles filled with their own urine. With its open-ended, immersive environment, the game has claimed many victims. There are assorted tales of perfectly normal people ruining their lives by spending months trapped in its pseudo-reality, only to emerge a couple years later with the admission that they wasted a precious chunk of their adult life. That's probably how director Duncan Jones feels right now, having dedicated the best part of half a decade to bringing the game to the big screen. There was a lot riding on this one; could it finally break the stigma of video game adaptations? The answer is a resounding no. Even Uwe Boll's efforts at plundering '90s console classics like House of the Dead and Alone in the Dark are infinitely more entertaining than this bloated and boring ripoff of every fantasy franchise that's come before it. Watching someone play the game itself would probably constitute a far more rewarding experience than having to endure the movie, and at least you could ask the gamer to explain what exactly it is you're watching. The premise of Jones' film is simple - humans form an alliance with orcs, the latter having rebelled against their tyrannical dictator - but the plot is as complicated as the heaviest tomes of classic Russian literature. Watching at home, you could pause, rewind and take notes, but trying to keep up with this on a big screen viewing is headache inducing; this isn't entertainment, it's homework. The script seems to assume that we're familiar with all these characters, and maybe gamers are, but the constant references to characters whose names mean nothing ("Gonthor of the lowlands, son of Mordor, second cousin twice removed of Brutus of the shell people" - that sort of thing) to casual viewers makes following the proceedings a Herculean task. It's become hip to mock George Lucas, but movies like Warcraft illustrate just what a great storyteller the neckbearded one once was. By the end of your first viewing of Star Wars every character is embedded in your mind, each of their names seared into your consciousness forever. 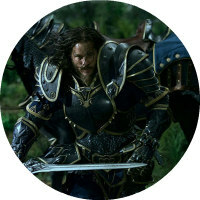 I couldn't name a single character from Warcraft. There's Ben Foster, delivering a career worst performance as a Gandalf knockoff; there's a hunky, bearded Aussie bloke; there's Ruth Negga as Irish Princess Leia; there's a green baby Moses; there's Paula Patton as one of those green Star Trek babes; there's some young guy with a goatee who delivers one of the worst acting performances I've ever witnessed; there are a bunch of supporting dwarves, orcs and giant birds that seem to have been stolen from the digital warehouse where Peter Jackson stores his creations. When the first trailer emerged there was much criticism over how CG-heavy the film appeared, but frankly the movie would play a lot better if it were entirely animated. The animation varies from sub-Avatar mo-cap to iPhone strategy game, but it's the scenes featuring humans that really sink Warcraft, resembling those awful Canadian sci-fi shows that always seemed to be on at tea-time in the mid-90s, in both dialogue and visual aesthetic, filmed on the sort of sets Roger Corman would have shot two movies over a weekend on. 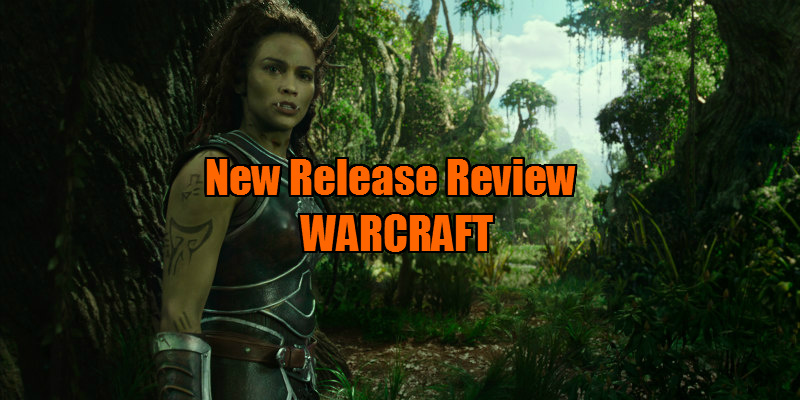 It's easy to mock the uninspired direction, the clumsy editing, the awful FX and the "where's my agent; get me out of here" level of commitment from the cast, but the reason Warcraft is such a resounding turkey is its script. How anyone could possibly go ahead and film this final draft is beyond me. As is the depressing standard with the modern Hollywood sci-fi movie, this one spends a lot of time building a universe that I expect we're never going to see anymore of (aiming a movie at a fan base known for never leaving its collective bedroom isn't good economics). 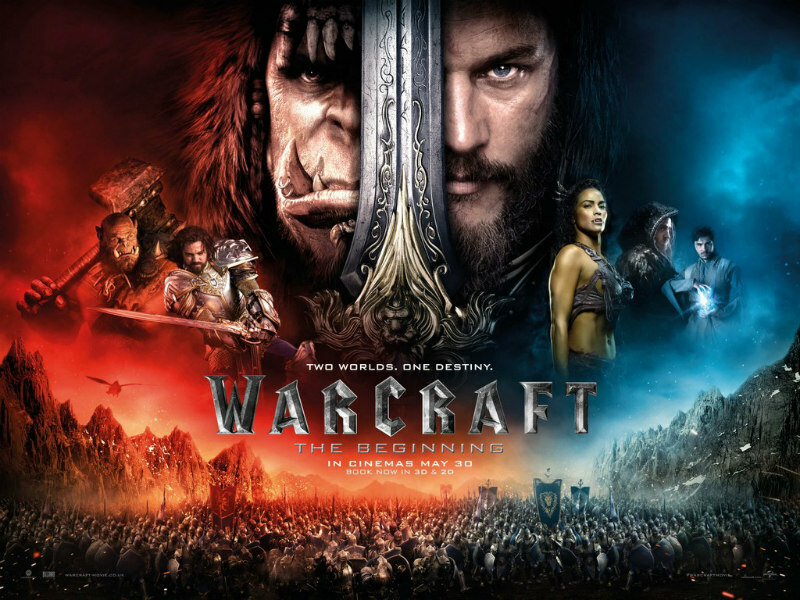 In some territories the movie is titled Warcraft: The Beginning, but unless those unpredictable Chinese cinema-goers flock to it in droves, this will undoubtedly be the end of Warcraft.